There were two groups of Matdogs that put in some wrestling on Sunday too. Justin, CJ, Bailey and Michael took second there. 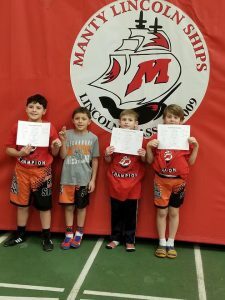 Four guys went to Manitowoc Maritime Youth Tournament. Declan, Keegan, and Wyatt all took 1st and William took 3rd.